Heat oven to 350°F. 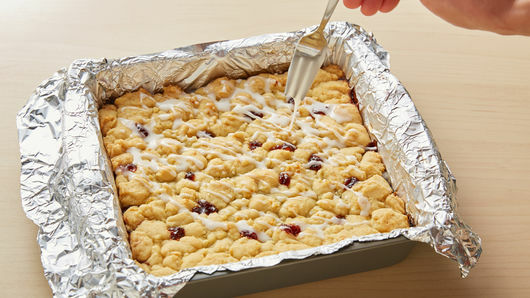 Line 8-inch square pan with foil, extending foil over sides of pan; spray with cooking spray. In medium bowl, break up cookie dough. 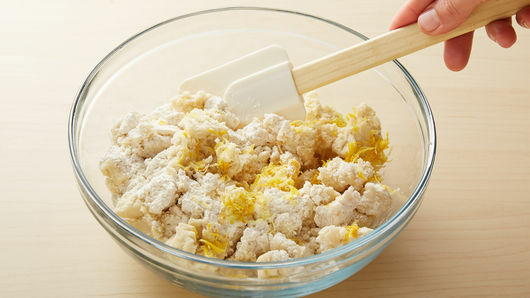 Add flour and grated lemon peel; mix or knead until well blended. Press 1 1/4 cups of the mixture into pan. Bake 15 minutes. In small bowl, mix jam and 1 teaspoon of the lemon juice; carefully spread jam on top of bar base. Crumble remaining cookie dough mixture on jam layer. 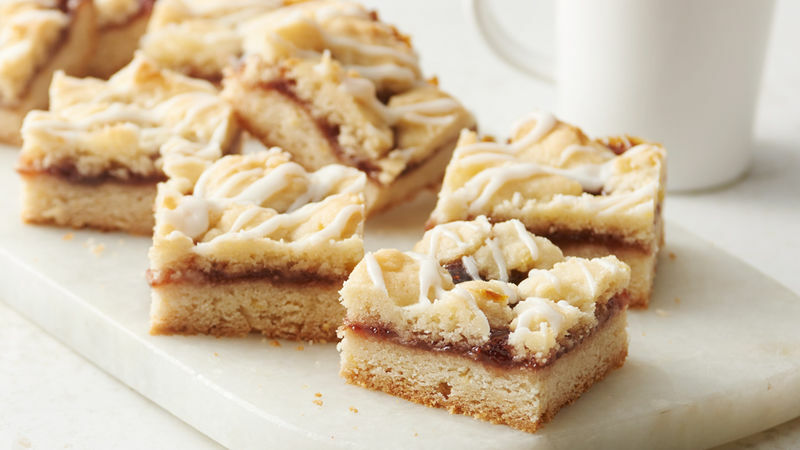 Bake 25 to 30 minutes or until cookie dough top is golden brown. Cool completely, about 1 hour 30 minutes. In small bowl, mix powdered sugar and 1 teaspoon of the remaining lemon juice until smooth. If necessary for drizzling consistency, add additional 1/2 teaspoon lemon juice. 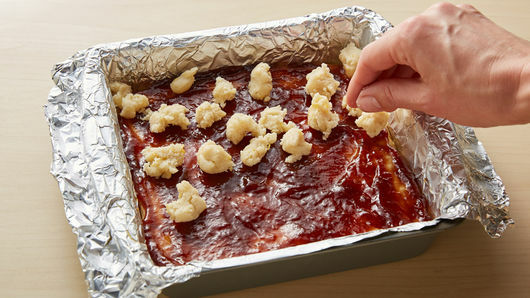 Using fork, drizzle glaze on top of bars. Let stand 15 minutes. Remove from pan using foil handles. Cut into 4 rows by 4 rows. Grate lemon peel into small bowl before squeezing fresh lemon juice into separate bowl. Store bars covered at room temperature.